While the current RES ONE Workspace management console is very feature rich, there is always room for improvement. There is often a task that you might want to automate or at the very least make it a bit easier. Now my fellow RES aficionado Chris Twiest (@TwiestChris) did exactly that. He had a solid business case for a couple of RES ONE Workspace related tasks, automated them and bundled them into a neat and easy to understand toolkit. Read on for all the tasks that are included in this toolkit (and for the download link of course). This entry was posted in Ivanti Workspace Control and tagged RES ONE Workspace, Toolkit, Twiest on 12 May, 2017 by chrisadm. For a while now RES has supported the management of published applications from Citrix XenApp. This was quite easy to do. Before the release of XenDesktop 7 there wasn’t really a difference between a Data Collector and a Session Host. Both had the same XenApp installation and if was just a matter of configuration as to which role the server had. You would need the RES Workspace Manager Console on one of the XenApp servers and you could simply select Enable Citrix XenApp Application Publishing, define your preferred options and servers and you were good to go. In XenApp/XenDesktop 7.x this is a bit different. Since the session hosts only contain the Virtual Delivery Agent the requirements are a bit different. You need a machine with the full installation of RES ONE Workspace (Agent + Console) and the Citrix Studio. I will try to define and explain each step from the publishing to the application shortcuts. This entry was posted in Ivanti Workspace Control on 10 November, 2016 by chrisadm. Since the release of Microsoft Internet Explorer 10, Microsoft has changed the way they handle cookies. 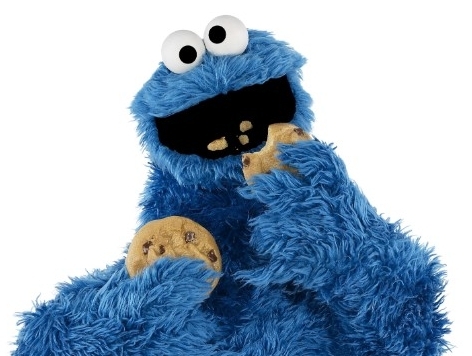 In older versions your user profile just had a folder named Cookies that contained them all. When using RES ONE Workspace, you just needed to make sure that the folder was included in the user settings. Capturing the history was also easy. The only difference was that it was located in the local part of the profile and not the roaming part. However, when IE 10 was released, everything changed. They started using a webcache database that’s located in the local part of the user profile. It gets locked after logon and simply adding it to the user settings in ROW apparently isn’t enough. This entry was posted in Ivanti Workspace Control on 12 July, 2016 by chrisadm. When implementing software, an organization usually wants to go for the DTAP approach (Development, Testing, Acceptance and Production). An application gets developed for the specific organization in the Development environment. The version is then tested in the Testing environment. After that de customer/(key-)users can approve of it in the Acceptance environment and when successful it can be deployed in de Production environment. This method defines specific steps in the development of a new application or an update of a current one. It also reduces the risk of downtime when developing or testing the new application. Can you use this approach in combination with RES ONE Workspace? This entry was posted in Ivanti Workspace Control and tagged Datastore, DTAP, GPO, RES ONE Workspace on 19 May, 2016 by chrisadm.